Twitter users can’t seem to wrap their head around a certain meeting between Allied Congress Party of Nigeria (ACPN) presidential candidate, Oby Ezekwesili, and Ibrahim Badamosi Babangida (IBB) who ruled Nigeria between 1985 to 1993. Reports have it that the meeting took place on Sunday, November 4, 2018 and that it was a “secret meeting” held behind closed doors. Photos from that meeting have dominated social media chatter, not least because Ezekwesili has often vowed to dislodge and dismantle the old political order that has held Nigeria hostage for ages. IBB, a self-confessed evil genius, is a member of that old political guard and establishment. It’s commonplace to see candidates running for the office of president in Nigeria head to Minna, where IBB’s mansion sits perched on a hill, for some kind of blessings. 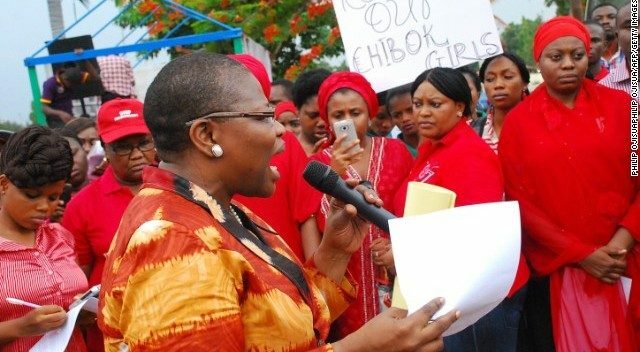 The official refused to confirm if Ezekwesili sought for or got IBB’s endorsement, TheCable reports. In her response, Dr Ezekwesili said she told IBB that her mission is to get Nigeria off the clutches of that ‘old order’. “I had a very candid conversation with former head of state, Ibrahim Babangida in Minna after my speech on Human Capital Development at El Amin School yesterday. I made it clear that Nigeria must be taken out of the clutches of the Old Order. This is our mission”, she shared in a tweet.